Lebanon, IN – March 26, 2019 – Burnett Farms made the most out of the unusually cold winter by collecting blue ribbons to add to the tack room banner. Trainer Michael Burnett and riders from Burnett Farms in Lebanon, Indiana, stayed warm by showing at the gorgeous, heated World Equestrian Center (WEC) in Wilmington, Ohio followed by a few sunny weeks at the Winter Equestrian Festival (WEF) in Wellington, Florida. 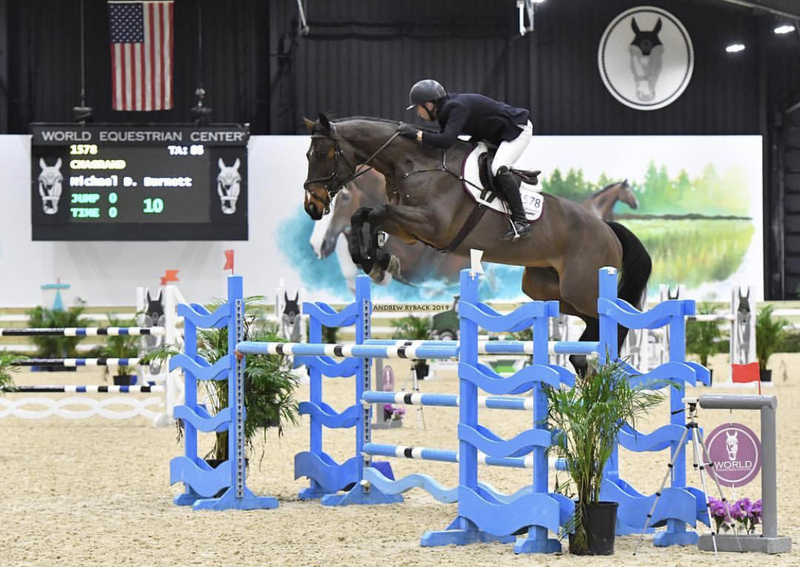 Burnett knocked it out of the park with two back to back wins on his grand prix horse, Iron, in the $7,500 Futures Prix in Ohio. 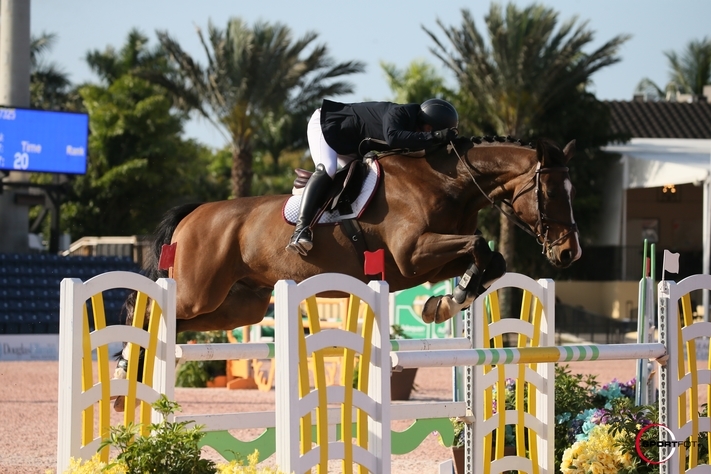 The pair also topped the leader board at WEF in the 1.30m jumpers out of 90 entries with the legendary George Morris heading to the ring with Burnett. 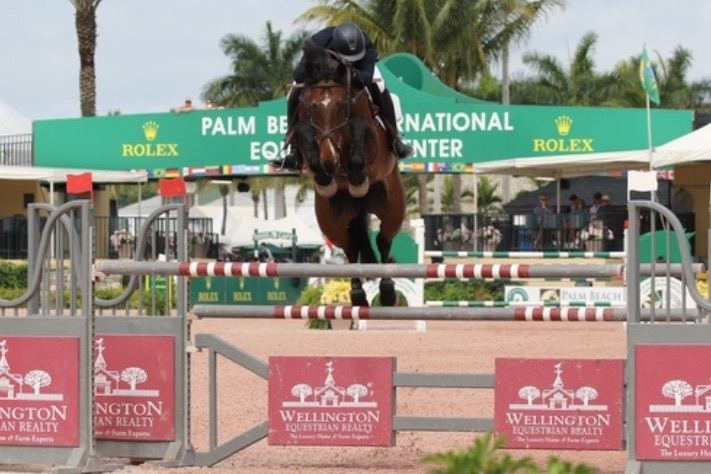 Burnett also rode Valor Farm’s Burlington to a great second place finish in the $6,000 1.40m jumpers at WEF as well as multiple top 8 ribbons. Chagrand, a 10-year-old Oldenburg, and Burnett claimed well earned ribbons in the 1.35m and 1.40m jumpers as well during the sunshine circuit and finished 4thin the Futures Prix in Ohio. 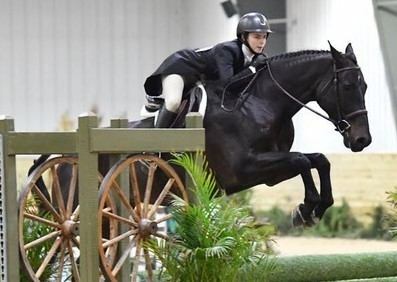 Burnett Farm rider Gabriella Lewis rode Burnett’s Lex Toccino to the reserve championship in the older Children’s Hunter division at the WEC, winning 2 division classes and the NAL/WIHS Children's Hunter Classic. 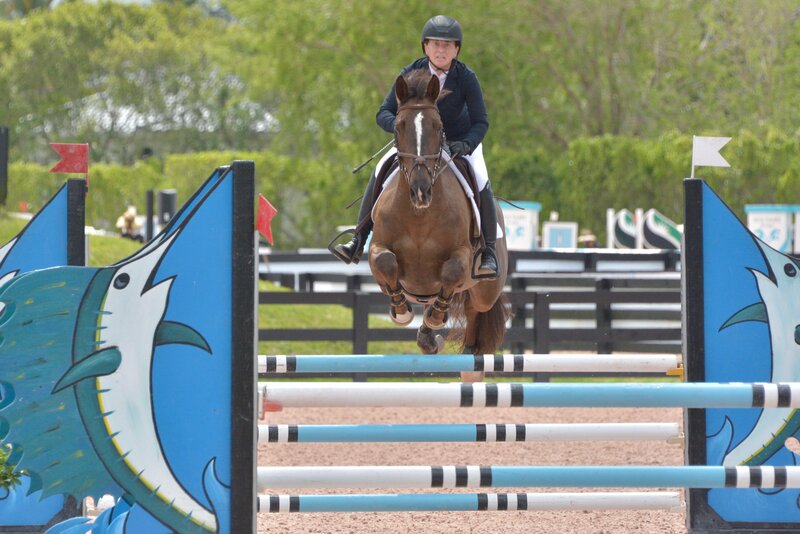 The pair also earned an impressive 4thplace finish in the USHJA National Hunter Derby. Lewis also rode her own horse, Capone, in the children’s hunters to add top ribbons to her collection. 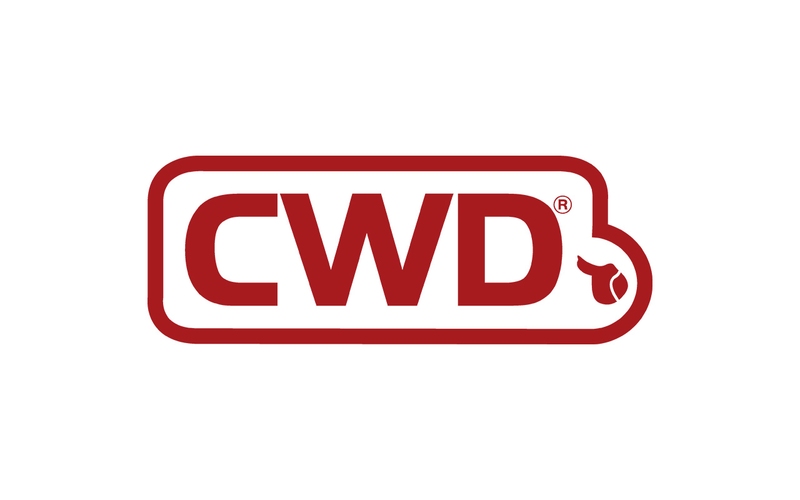 During WEF, Burnett won an open hunter class on Lex Toccino while Lewis rocked it, winning the reserve championship in the Older Children’s Hunters during WEF 9 then moved up to the Junior Hunters in WEF 10 to win the 3’3” Junior Hunter Stake class. "This was the first WEF experience for the clients and they all rose to the occasion," said Burnett. 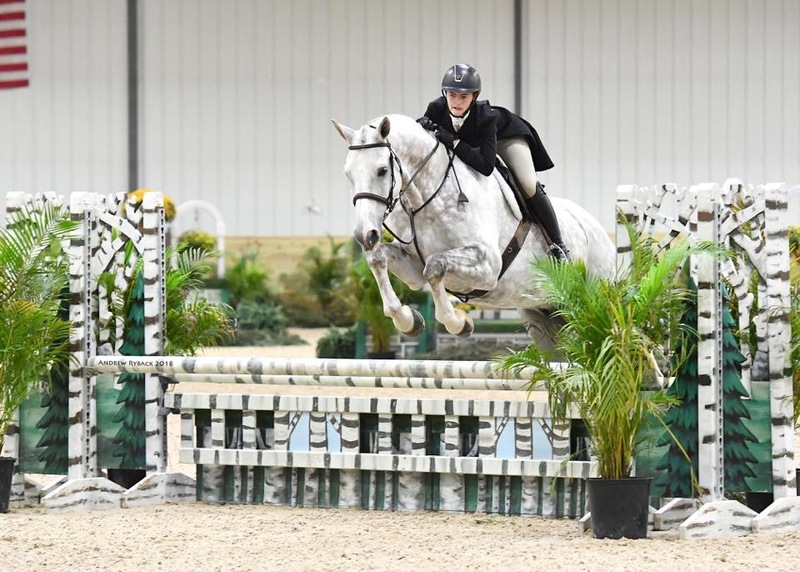 "I love to help people with their horses and my goal is for all riders to successfully move up in divisions rather than to stay in the same place." 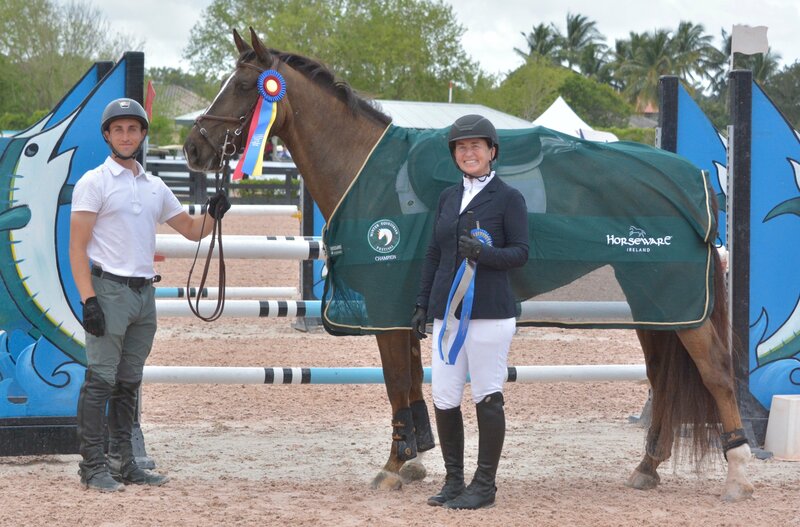 Rider Niki Martin of Carmel, Indiana, had a blast in the sunshine state while winning the $10,000 Adult Amateur Master Classic and the division championship with Conpardie Z. Martin also earned a great 2nd place finish in the Low Adult Amateur Jumper Classic during WEF 9. "Michael is extremely focused, which allows him to give articulate, concise instruction that is easy to remember on course," said Martin. "He is respectful and encouraging and has the ability to coach to a rider/horse combination's strengths while gently strengthening the pair's weak points. Most of all, he is joyful in his love of the sport and is a great pleasure to be around." Burnett has an impressive resume in the jumper ring including a second place finish at the 2018 International Omaha Init2winit Final with Iron. The pair also earned the 2018 WEF Reserve Circuit Championship in the 1.35m jumpers and a second place finish in the Maffit Lake Grand Prix. Burnett has won the Minnesota Grand Prix, The $30,000 Rescue Ride Grand Prix at Two Rivers, and the InIt2WinIt Speed Qualifier at Lake St. Louis. Burnett is growing his farm in Lebanon, Indiana and is accepting show clients, sale horses and horses in training. Burnett’s teaching philosophy is based on the classical style of American riding and he is extremely passionate about his sport and is dedicated to his clients. 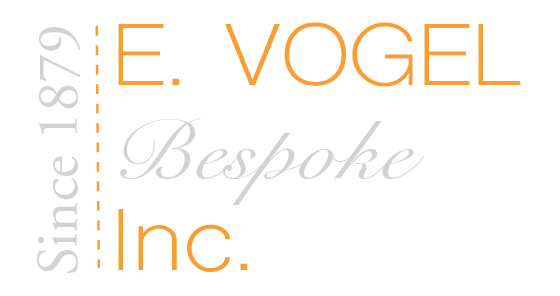 He trains horses and riders of all ages and experience levels. Burnett will head to The International Omaha for the Init2winit Final, April 3-7. Contact Michael Burnett for more information on Burnett Farm’s services and schedule at michaelbhorses@yahoo.com. Follow them on Facebook at Burnett Farms.